Titan Brown Men's Wallet - TW106LM1DB Designed with stylish features, this chic wallet indulges in beautifying your charming persona. 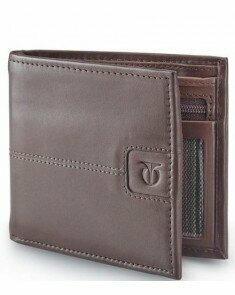 Available in dark brown, this wallet elevates your style quotient in an instant. 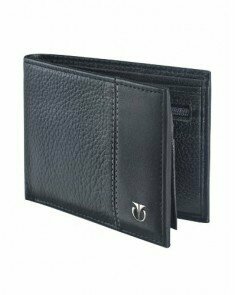 Classic and elegant in style, this wallet is designed to cater to the comfort and style needs of young men. Exclusively made from the finest leather materials, this comfy wallet lasts longer and ensures extended durability. Designed with two compartments, eight pockets and three card slots, this wallet ensures safe storage place for all your monetary essentials such as currency notes and credit as well as debit cards. In the zip pouch, you can stash all loose coins and get a quick access whenever needed. You can also store unused sim card in the holder and passport sized photos in the photo slot.